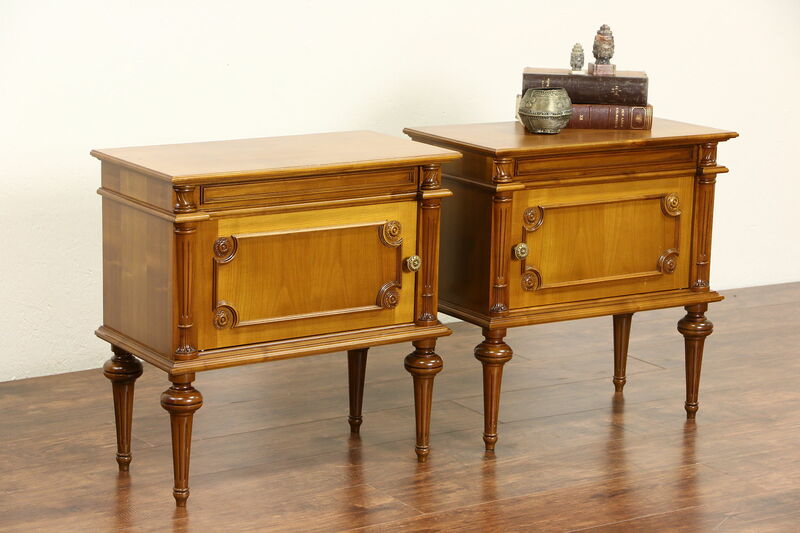 A true right and left pair of classical design nightstands or end table were crafted in Italy about 50 years ago. The restored finish is in excellent condition on glowing fruitwood. Hardware is original on this vintage furniture. Measurements are 24" wide, 13" deep and 24" tall.